Casino LuckLand is starting an exciting new promotion that will involve a weekly surprise offer, send out to all the registered players of this fabulous online casino. Expect to find plenty of great deals that are sure to be of great value, even if you do not plan to use them, the surprise bonuses are something worth checking out. 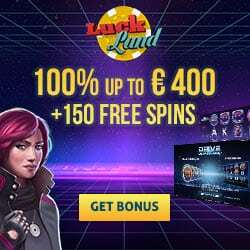 It is planned, that there would be Free Spins, Free Bonuses and Reload Bonuses, but as always things might change in time so it is important to be aware that these features might occur or not. Each week will bring a different promotion, so keep your eyes peeled for the ongoing campaign that will be available through various means of communication.